Once you’ve built your range, you have the task of attracting and forging relationships with customers. To achieve this, your business requires a distinctive and memorable persona. The marketing world refers to this persona as a “brand.” Having a strongly-defined and reliable brand builds recognition and familiarity, which breeds credibility and trust. Your brand goes hand in hand with your reputation, so it’s imperative you pay ample attention to this aspect of your business. A consistent look and feel throughout your facility creates an impression of polished professionalism and reinforces your range’s brand. 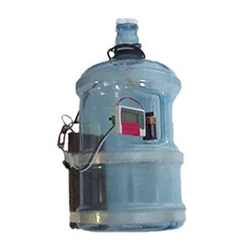 Action Target offers extensive customization options to make it easy to achieve this consistency. For example, we can manufacture shooting stalls decked with your company colors, apply your logo to your equipment, and design paper targets uniquely for your range. There are additional ways you can brand your building, such as etching your range name and logo into doors, interior viewing windows, walls, floors, and tables. You can also draw attention to your building by making it highly visible with attractive lighting and signs. Consider placing company mascots or branded vehicles in strategic locations to catch the attention of passersby. Furthermore, invest in merchandise customized with your name and logo. It’s more valuable than you might realize. Not only will your customers enjoy the swag, but they will also serve as ambassadors of your business when wearing and using your branded gear. The sky is the limit when it comes to what you can customize, be it apparel, patches, coasters, mugs, pens, flashlights, bumper stickers, and keychains. Remember, the experience your customer has with your brand impacts your reputation, so we recommend you purchase good quality items. While your facility may be a gun range primarily, it’s no secret that the success of your range is hinged on the quality of your customer’s experience. So why not make a name for yourself by offering more than a shooting space? For starters, ensure information about your products, services, and membership is readily accessible. Install markers to let customers know exactly where to go and with whom to speak if they have questions. Be aware that demonstrating expertise is critical when it comes to developing customer trust and loyalty, so take adequate time to educate yourself and your staff on range equipment, operation, and retail products. Remember, you don’t have to break the bank to make your space more inviting. If funds are limited, consider a comfortable conversation area and luxury coffee station. Gun range membership programs are one of the best revenue builders a business can employ. They provide a reliable income, grow your customer base, and motivate shooters to return again and again. It benefits both you and your customers to build a solid and rewarding membership program. There are many ways to enhance these programs, such as multi-member discounts, family packages and corporate bundles. You can also advertise gift memberships for special occasions such as holidays, birthdays, and anniversaries. When it comes to making your gun range membership program enticing and accessible, don’t be afraid to think outside the box. Consider combining memberships with discounted training classes. In addition to growing membership, this will also strengthen participation in your education platform. Furthermore, don’t hesitate to be creative in your approach to incentivizing membership and encouraging member participation. For example, nominate a “Member of the Month” and assign a prime parking space for this special member. A special discounted item of the month. Educate range employees about the item and encourage them to discuss it with customers. Member-only discounts on non-sale items. This shows loyalty to your members and promotes the perks of membership. 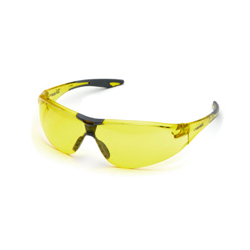 Offer discounted lane time during off-peak hours or during extremes in temperature when shooting outside is undesirable. Host events such as special product release nights, date nights, zombie shoots, carnival night, costume parties, birthday parties, and bachelor/bachelorette functions. Capitalize on local events such as rodeos, fairs, and elections. For example, recognize customers who participate in an election by offering them a free patch or T-shirt (adorned with your range logo, of course!). Participate in charity fundraisers. Being active in your community has reciprocal benefits and raises awareness of your business. Whatever your promotion or event may be, it is essential that you keep your members and followers in the loop via social media. Post well-timed, useful, and appealing information about product discounts, special rates, and upcoming events. Additionally, engage your followers by posting exciting images and stories during exciting and special occasions. Beyond capitalizing on social media, invite a local news station to get the word out. It usually doesn’t require much effort to coordinate a media visit. Simply call the desired local radio or television station and provide event details. It’s a win-win situation: it provides content for the media and brings visibility to your business. Additionally, the presence of cameramen and broadcasting vans are an effective way to create hype and interest among those in the vicinity. Remember to keep careful track of the performance of your promotions, gun range events, and advertising strategies so that you learn which efforts are most profitable. This will allow you to determine which activities you should repeat and evolve. Networking with other local businesses may not seem practical for the niche shooting range business. However, crossing industry borders and working with other businesses in the community provides you with the opportunity to appeal to patrons from other industries who may not have otherwise been aware of your business. Exactly how do you work with your community and appeal to different demographics, thereby expanding your customer base? Consider sharing your facility, for starters. Make your classroom available to other groups that need a place to convene, such as self-defense clubs, scouting programs, charity organizations, and your local chamber of commerce. Furthermore, become acquainted with catering companies and event organizers. Let them know referrals are welcome and provide them with details regarding group discounts and other package deals. We also recommend building a strong relationship with your local law enforcement agency. 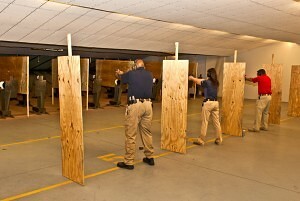 Consider offering special “closed-range” training sessions for officers. In addition, show your support of military members through exclusive product promotions, special membership rates, and discounted shooting range time. Having a reputation as a select training facility for law enforcement and military will have a significant influence on your brand and credibility. Moreover, your customers will be attracted to the prestige and bragging rights of training in a select range of police officers and military personnel. By Mike Stilwell, Action Target Range Consultant and owner of Range Masters indoor shooting range in Springville, Utah. When I bought my first handgun 20 years ago, there wasn’t a place to shoot it. There were hardly any shooting ranges in the area, and the ones that did exist required expensive long-term memberships. That really bothered me, so when my midlife crisis hit, I decided to build my own shooting range. I wanted to build a place where anyone could feel comfortable and enjoy the fun of target shooting. I wanted to build the kind of range I would have wanted to go to 20 years ago. In building and managing that range, however, I didn’t always make the best business decisions. I already had a good job, so I wasn’t in it for the money. I was in it for the love of the industry. Owning my own shooting range was a dream come true, but to be successful, I needed to combine my passion with a little business sense. Over the years, I’ve learned a thing or two through trial and error and by watching what successful range managers do. Based on my own experiences, these are three marketing strategies I would recommend to any shooting range trying to pay the bills. The truth of the industry is if you don’t market to get new customers, your customer pool will quickly dry up. People lose interest, they move away, they get more demanding jobs, and sometimes they just find a shooting range they like better than yours. No matter the reason, your customers won’t be around forever, and that is why you need to constantly work to get new people in your range every day. Think of it as a funnel. The more people you get to come through your door, the more people are going to come back. The more people you get to come back, the more money they will spend. The more money they spend, the more likely they are to buy a membership and become a long-term customer. Obviously, not everyone that comes in your door is going to buy a membership, but some of them will. The key is to constantly add customers to the funnel so it can siphon down to the few who are going to be loyal for months and years to come. One of the great ways to get new customers is through free range passes. I know it can be painful to watch someone use your range without paying a dime, but maybe that person didn’t even know your range existed until now, and after a day of shooting, he/she plans to come back again and again. Giving someone a freebie can sometimes mean more money for you down the road. For example, I send free range passes to Sportsman’s Warehouse and Cabela’s. When people walk into one of those stores and buy a Glock 17 or some other gun, they get a free pass to shoot it on my range. All of a sudden, they have a great excuse to visit me, and when they do, they may find a new weekend pastime. Additionally, they may realize that I sell the same gun for a little cheaper which means they’re likely to come to me for their next firearm purchase. So instead of spending a ton of money on mass advertising, I target the customers I really want by handing out a few freebies to new gun owners. Another good way to get people in your range is to do games and contests. I call this the “bowling league philosophy.” Often, bowling alleys rely on bowling leagues to stay open. Why? Because it’s a lot more fun to go bowling with a group of people that love it as much as you do, and that is what gets people in the bowling alley. Shooting ranges have a lesson or two they can learn from that. Shooting is quickly becoming more and more of a social activity and the industry needs to adjust. I’m not talking about professional target shooting competitions, though. I’m talking about fun contests and games that anyone can participate in. Every other week, I have a “fun shoot” at my range. We shoot bowling pins, we do trick shots, we do playing card targets where whoever shoots the best hand can win a cash prize. The purpose is to be safe and fun while getting new people in my shooting range. It’s not strictly regulated so more people can participate without feeling they have to be professional or even good, for that matter. Every time, I get 40 to 50 shooters who participate and 10 to 12 of those are new shooters. We hold a new shooter orientation with those 10 or 12 so they can be familiar with the rules of safe shooting, and then we have a great time. The people that participate are hooked and come back again and again. Once you get someone hooked on your range, the next hurdle is to get him/her to buy a membership. For the majority of shooting ranges, memberships are what pay the bills. They provide consistent revenue and are likely to carry over from year to year. But convincing a new customer to drop a wad of money on a long-term commitment can be a little difficult. Sometimes you need to give them a little taste of what having a membership would be like so they can convince themselves it’s something they want to do. I sell 10-time discount punch cards that essentially give customers benefits similar to owning a membership. They get discounts on range use and ammo, and after they use the card up, they can roll it over into a membership. Many customers shy away from buying a membership at the start, but after using up a discount punch card, nearly every one of them end up becoming a member. Classes and firearms education are a great way to bring new customers into your range and build rapport with the community. For new shooters, walking into a shooting range can be a little intimidating. They’re not familiar with the procedure, and the ex-marine behind the counter with a concealed Uzi isn’t likely to give much encouragement. Instead of making extensive experience a prerequisite to using the range (or at least making newcomers feel that way), take advantage of this teaching opportunity to create loyal customers. Introductory classes and other training courses are a great way to help people gain the confidence they need to become shooting range regulars. At my shooting range, I personally teach all of the concealed carry classes we hold each week. I have never advertised the class, but I get several people to sign up every time. It’s all word of mouth. If you make it enjoyable for people, make it informative and entertaining, people will share it with who they know, and you’ll never have an empty class. Of the people who attend my classes, many of them have never been to my range before, but after a day of shooting and having fun, you can bet they’re going to come back. One range that does a wonderful job of utilizing firearms education is the Range at Lake Norman in Cornelius, North Carolina. As one of only 25 ranges in the country to be given a five star rating by the NSSF, this range is a great place to get ideas from. Designed and installed by Action Target, their state-of-the-art facilities allow for 16 different classes including advanced concealed carry, mother/daughter self defense, build your own AR, and a zombie survival class. With four or five different introductory courses, they constantly get new shooters into the range with NRA certified instructors who can help them gain confidence and become more comfortable in that setting. In addition, two of their classes, the mother/daughter self defense class and the parent teen intro class, encourage family shooting which brings more foot traffic and encourages the trend of social shooting. You can have the best range in the world, but if you don’t have good customer service and an inviting atmosphere, you don’t have anything. Scowling Scott may be able to build an AR-15 from scratch out of raw jungle materials, but he’s not going to be a benefit to your shooting range if he doesn’t leave people with a positive impression. Unfortunately, the world of shooting seems to be dominated by hyper-masculinity and the notion that you have to know everything before you can set foot in a gun store. Having been on both sides of the experience barrier, I do my best to consider the people who may not have a clue about what they’re doing. I remember just starting out and how much I would have liked someone to show me the ropes without making me feel like less of a man for not knowing what to do. The reality is, gun ownership is increasing and not everyone belongs to the good ol’ boys club. That’s why your employees not only need to be knowledgeable about guns and shooting, they need to have customer service backgrounds. In the end, it’s not the products you sell, it’s not how many lanes you have, and it’s not even how great your prices are. 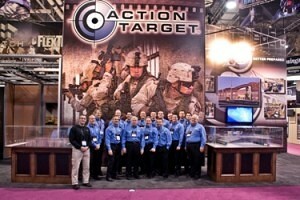 Your shooting range’s biggest asset is the people behind the counter. Hire the right people and you will get more customers coming back. Another way to get more customers coming back on a consistent basis is to make your range as comfortable as possible. Again, customer service is probably the biggest aspect of this, but your facilities also play a huge part. 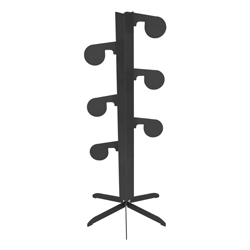 Ranges that are comfortable and inviting attract customers. You would be amazed at what a little extra lighting and proper ventilation can do to the atmosphere of a shooting range. Gone are the days of hot, smoky indoor ranges where you can barely even see your target. People want to feel comfortable and safe. That’s where Action Target comes in. 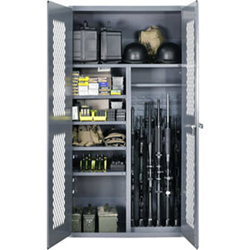 We design and install shooting ranges with your customers in mind. 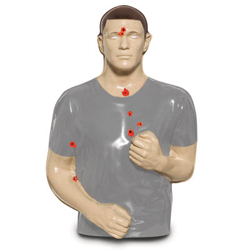 Action Target ranges are known for being clean, easy to maintain, and comfortable. Whether you’re considering building a new range or if you would like to upgrade your existing range, we can help. This isn’t an easy industry, but with a little extra help, you can definitely succeed. We’re all in this together.